How to sell the things I don’t need anymore? My rule is if I haven’t used something for 6 months or more, it should go to someone else that will make good use of it. I am constantly trying new things, and sometimes that means acquiring “stuff”. So getting rid of of “old stuff” has to keep up with my acquisition. Where to sell all these things? It always helps to cross-list in multiple places, you just never know where the right audience may be hunting for a good deal. I usually cross-list my items on Auction Sites, Local Classified Websites/Apps, Forums, and through personal network (if I happen to know someone would be interested). Certain category of items work better on one platform or another. And there are category-specific avenue to sell certain items (e.g., musical instrument, sporting gear). Ebay: Probably the largest audience base. You can setup your sale as an auction or “Buy It Now” (can accept offers from buyers). The wide audience base comes with a steep 10% commission. I’d usually price my items a little higher on Ebay because of that. Ebay is also a great place to research price. You could often google “–item name– ebay” and find sold price for the item. Pros: Usually has a lower commission fee than Ebay. Cons: Smaller audience base (good thing it does come up on Google searches most of the time). 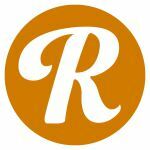 Reverb: An auction site for Music/Audio-related items (e.g., instrument, effect pedals, speakers) with a 3% commission, which is much more reasonable than Ebay. It also gives you a history of “Price Sold” for items that they have a record for. Very useful for price setting and research. Payment Method: Paypal or site-specific payment system. Craigslist: A large classified website with a “Sale” section. Great for household item, musical/audio, and sports-related items. I always setup to meet at some public place (e.g., Post Office, CVS, Starbucks). Pros: Craigslist probably has the largest audience base for local sales, and that alone is worth listing your item on it. Cons: Just beware of scams and bots. Run away from anyone offering to pay you online after you “mail” them the item. Instead of listing my personal phone on Craigslist, I use my Google-voice number for craigslist sale. It can do text through the Google-Voice app or web-interface, and it forwards voice call to my phone. An alternative way to get a temporary number for a very small price would be burner apps (e.g., Burner on Android/iOS). Payment Method: Cash (don’t accept a check). If you are selling a car and they offer to pay in check, do a Cashier check and cash it while they are present with you. Apps: There are plenty of apps that helps facilitate local sales, but I mainly use one. I made the decision based on how many Downloads the app has. That is not the actual active-user base, but its an easy estimate. OfferUp (Android/iOS) – An app that facilitates local sales by having a convenient offer and chat system. I always cross-list my items on OfferUp and Craigslist. You could either set your item to have a ‘firm price’, or ‘accepts offer’. It is basically Craigslist, but all your conversation happens in the app, which streamlines the process. Same rule as craigslist, I won’t tell someone to come to my home unless the are U-hauling some stuff away. Have a knife? Sell it on a blade forum. Have a backpack? Sell it on an EDC forum. The folks on the forums know the price point of the item they want, so you don’t get as much low-ballers (at least that is my experience). Payment Method: The most common way to pay is Paypal (+3% fee or gift) or USPS Money Order (I’ve actually never done this, but if a buyer wants to send money through that channel, I’ll take it). For Paypal, +3% fee means adding 3% to the selling price if the buyer wants to do normal Paypal, this way the commission fee for Paypal is cover by the buyer and the transaction is now protected by Paypal. If they trust you, they can just do Paypal gift, where there is no fee, but the transaction is not protected. NOTE: The risk of selling on forums is low, because the risk is really on the buyer’s side (e.g., damaged items, false advertising, item never arrived). A lot of forums also have a list of “bad sellers”, don’t end up there! If you ever want to buy something on a forum, check the bad seller list beforehand. If you really want to be protected when buying, shell out the 3% of paypal fee to have a protected transaction(not gift). Tip: a MOLLE backpack will probably go faster on Ar15 than on an EDC forum. In person/Facebook: This is great if you happen to know someone who wants to item you are selling. I usually cut my friends a small discount just because it also decreases my time/effort to sell it online/elsewhere-locally. NOTE: I am extra careful when selling to someone I know. The last thing I want is a ruin friendship over money/stuff. The hardest and often overlooked part is to have a “pretty” photo. There is a reason why professional photographers are hired to take product photos. It makes you want to buy it. The photos are the first impression of an item. Especially if an individual is in a ‘browsing mode’, the pretty photo will catch their eyes. Even if the buyer is someone that specifically searched for the item you are selling, an attractive portrayal of your item (pretty photo!) will help during the negotiation process. I am not a professional photographer, and I often just use my phone to take pictures. But I almost always do color-corrections using Snapseed. Add a bit of contrast, shadow, and make sure the photo is not overly cold/warm. Here is a simple/short guide on how to take good photos (it focuses on food photo, but the principles apply to everything). Adjust the price. After a week or two, if it is not sold (or there is 0 “Watchers”), lower the price. If nothing happens after a while again, continue the process. At the same time, look at other avenues to sell the item. It might be something too niche for a site like Ebay. It might be something too old, and there is a newer replacement model that is much cheaper. Sometimes it won’t sell immediately. Try seeing if the exact same item is being sold elsewhere for cheaper. Google indexes a lot of websites, so if someone google, and your price is listed higher, they will never get to you.